Just to be silly......my childhood Nichols Stallion .45 cap popper. 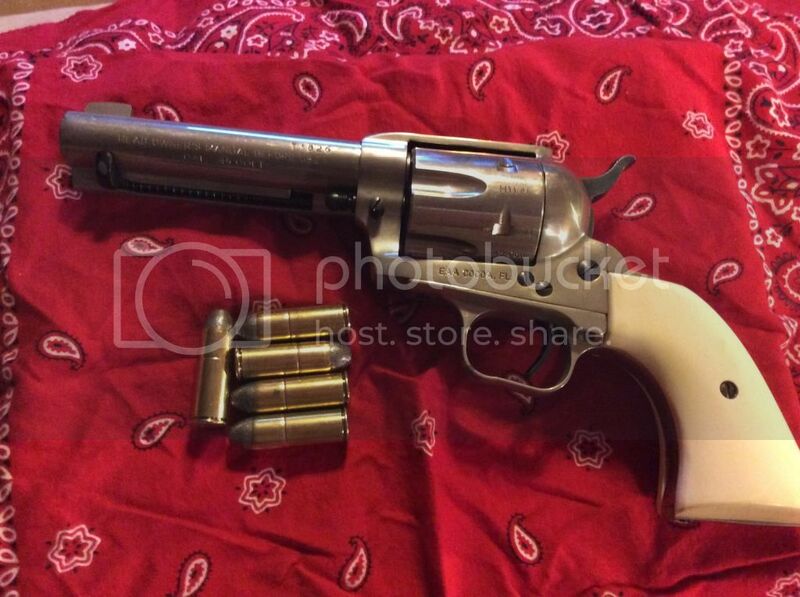 Is one of my favorite revolvers. I ordered my Stallion .45 from the Nichols factory in 1950 for a first production run. The first production Stallions are known as the Mark I. The box, its self a work of art, along with documents went missing somewhere back in time. This Nichols site tells the Stallion .45 story. Thanks for the link redryder !! Picked up this 1973 10-5 unfired Smith 38 spl a few weeks past. Came with a nice 1973 Bucheimer holster. Too bad, no box or documents. This will be my last firearm buy. Need to sell not buy. Tell me about your beautiful Colt 45 SAA. What generation is it? When was it made? My SAA is a 3rd Generation...manufactured in 2008, when it was given to me by my wife as a retirement gift after 35 years service with the DoD. Nice lookin' shootin' irons gentlemen !! Why am I not surprised that many of you gentlemen have handsome SAAs to go along with your Winchesters. It's just natural. I have a pair of Colt SAAs: a .45 and a .44 wcf. You gotta work on those pictures Randy...!! 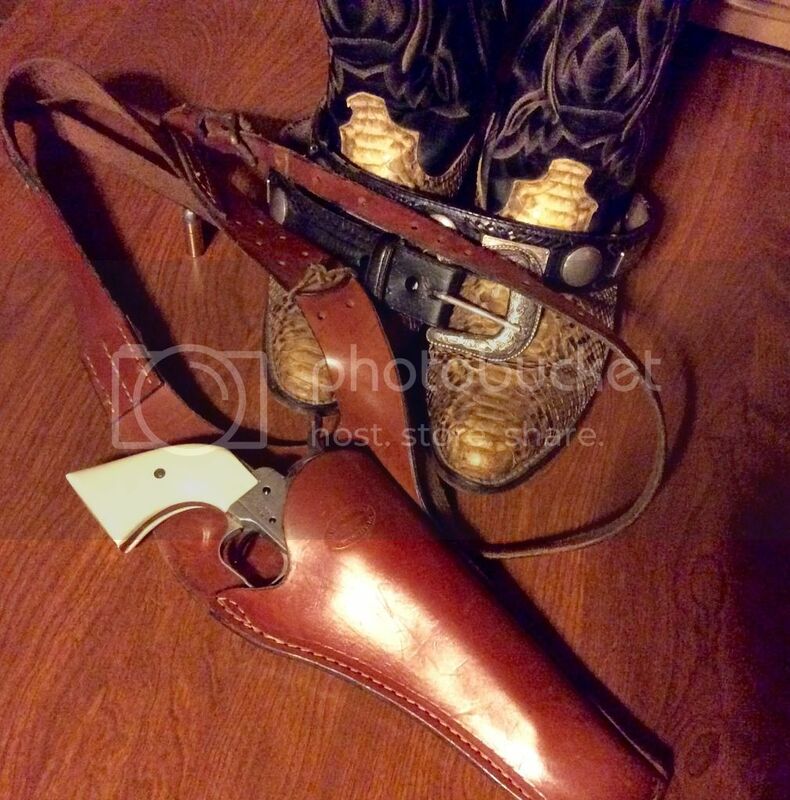 RR.....love the color cased frame on that Uberti. Thanks Bama....I am working on a web page that will list all my guns & blades. Will take some time to complete as I need to capture photos of some. ...and ran two boxes ( 1 Magnum / 1 Special ) bench rested through her this morning...I was impressed with the accuracy at 50 and 100 yards. Shoots as good as it looks ! !